Patriarch Filaret of the so-called Ukrainian Orthodox Church – Kiev Patriarchate (UOC-KP) announced his intention to request that the Ukrainian Orthodox Church – Moscow Patriarchate (UOC-MP) be renamed the Russian Orthodox Church in Ukraine during an interview to Radio Liberty on November 4. Church Relations of the UOC-MP’s statement, which referred to forcibly renaming the church as a hostile takeover. The UOC-KP will simply ask the Verkhovna Rada of Ukraine [the Ukrainian Parliament] to pass a law, according to which there will be only one UOC in Ukraine, and the name of the UOC-MP will be changed, he explained. After that, the parishioners of the renamed UOC MP will decide for themselves whether they will stay with the “Russian Orthodox Church in Ukraine” or leave it, added the head of the schismatic structure. On November 2, the Archbishop of Constantinople declared that the Moscow Patriarchate did not have any rights in Ukraine after Constantinople canceled the 1686 Synodal Act of transferring the Kiev Metropolis to Moscow. 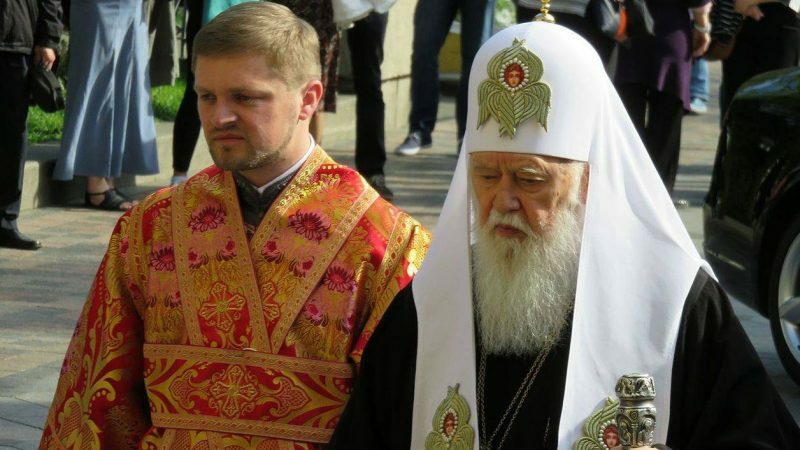 Earlier in October, the Patriarchate of Constantinople removed the anathema that the Moscow Patriarchate imposed on Filaret as a schismatic in 1997, and it began the process of granting autocephaly to Ukraine, calling its actions a “loving care”. Filaret went into schism in 1992. His idea of renaming the UOC-MP failed then, and he was forced to establish the UOC-KP. The self-proclaimed patriarch urges not to refer to the murder of Donbass residents who disobey Kiev as a sin. Instead, he declared dodging the draft to the Ukrainian army to be a sin. In 2017, priests from the Ukrainian Greek Catholic Church carried out a hostile takeover of the UOC-MP church in Kolomyia, Ivano-Frankivsk region with the support of militants from radical organizations. This seizure is not unique, noted in the Department of External Church Relations of the UOC-MP. On November 1, Reuters reported that clergy in Ukraine are faced with a decision between a schism in the form of joining the “autocephalous” church or being identified/listed as “Russian agents” in the eyes of Kiev. Implementation of Filaret’s idea to rename the UOC-MP into the Russian Orthodox Church in Ukraine will place ordinary parishioners into a similar dilemma. They will look like accomplices to the so-called “Russian aggression” in the eyes of the radicals and their fellow citizens who have fallen under the influence of official Ukrainian propaganda if they remain loyal to the church and to the purity of their faith. Taking into account the UOC-KP’s support of the propaganda campaign, Filaret’s actions aimed at renaming the UOC-MP is a direct provocation to religious schism and an incitement of violence and civil conflict. This entry was posted in News from Ukraine and tagged Informational-Psychological War, Russia, Ukraine, Ukrainian Orthodox Church – Kiev Patriarchate, Ukrainian Orthodox Church (Moscow Patriarchate). Bookmark the permalink.